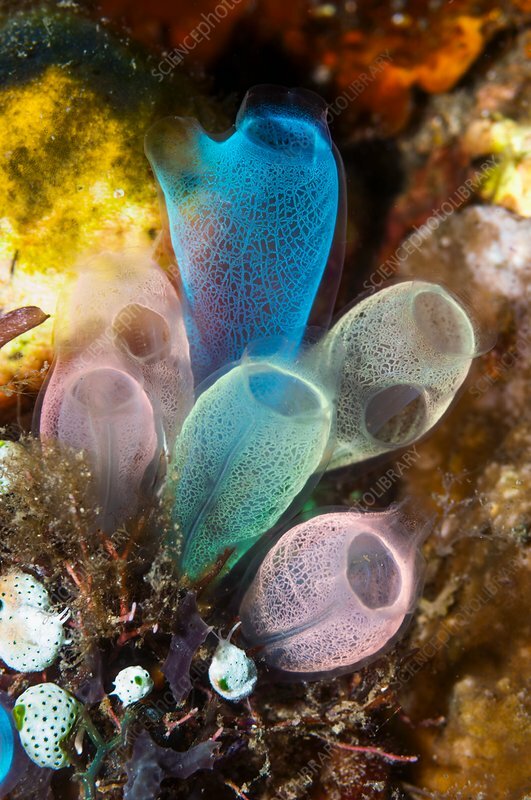 Sea squirts (Rhopalaea sp.) on a reef. Sea squirts (class Ascidiacea) are marine invertebrates which filter plankton from the water current that circulates through them. They are sedentary but have free-swimming larvae. Ascidian sea squirts are characterised by a tough outer layer of the polysaccharide tunicin, unlike other tunicates which are less rigid. Photographed in the Lembeh Strait, North Sulawesi, Indonesia.